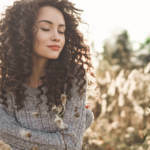 While summer is perhaps one of the most enjoyable seasons for many, thanks to its ample supply of free time and opportunities for outings with friends, it isn’t so good for your hair. The summer sun inflicts a lot of damage on your hair and can easily render it a barely manageable mess. If you’ve dealt with this unfortunate downside of the summer, we are here to the rescue! Here are a few handy tips for sun protection for hair, as well as helpful information and why and how your hair can go wrong. Nearly everyone has dealt with this beast of a hair problem at some point, when a frayed, cloud-like mass takes over the space where your lovely hair used to be. People who treat their hair frequently with chemical products tend to experience this problem the most. In fact, the chemicals are the problem. 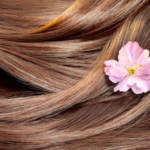 Perms, dyes and other similar hair styling tools we rely upon on a frequent basis can harm our hair by stripping it of the oils and moisture it needs to thrive. As a result, your hair becomes brittle and dehydrated to the point it will take in moisture wherever it can get. Summer humidity tends to be the perfect source. To remedy this problem, you want to first invest in sulfate free shampoo and conditioner, which will help restore and lock in moisture within your hair. You may also want to consider relying on anti-frizz products until the next time you wash your hair. This problem is quite the opposite of what we discussed above. Rather than your hair puffing out, you may experience it weighing down until it becomes a lackluster straggle hanging floppily from your scalp. What’s the deal? Again, it’s the summer humidity! The excess water hanging in the air will easily latch onto your hair and make it far heavier than it should be. 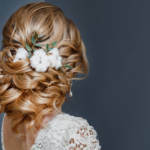 To fix this, you want to try using a leave in conditioner and related products to boost the amount of proteins in your hair, which will make it more resistant to weighty moisture. In the meantime, you can use sprays that fight off moisture to help your hair thrive. This problem is especially relevant for pool lovers. The sunlight and chlorine from the pool (and/or simply using far too much product) can combine to create less than desirable effects upon your hair, eliminating the sheen. Either way, your hair suffers from one of two problems: too much residue or too much dryness. Again, a good sulfate free shampoo and conditioner should do the trick by cleaning your hair of any residue and restoring necessary moisture. You can also flat iron your hair to tide you over until your next wash day. Interested in other quality hair care tips? Feel free to contact us to learn how else we can help you and your hair! Slide into Summer with These Unique New Hair Trends!